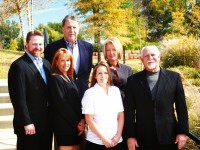 We provide true risk management services to businesses throughout Oklahoma, Texas, and arkansas. Today, accomplishing this requires dedication to getting to know our clients and understanding their specific needs. Our hands on approach provides a “win-win” scenario for everyone involved by reducing claims through effective loss control and ultimately impacting insurance costs.